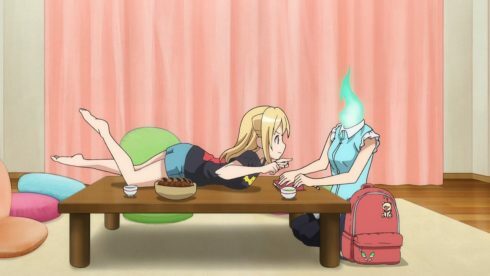 If episode 1 of Demi-chan was mostly focused on Hikari, episode 2 is mostly about our resident Dullahan: Machi Kyouko. 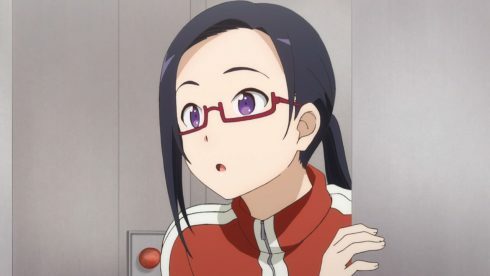 It was only a few minutes into this episode that I realized that Kyouko is voiced by the same voice actress who played Makoto in Flying Witch. 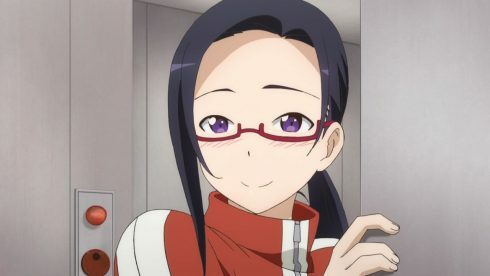 She’s got a good voice, and she’s doing a good job as Kyouko. I honestly can’t say what I was expecting for the role, but she captures the character well. 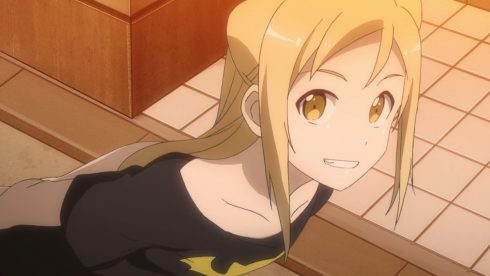 Out of all the Demi girls in this series, I think it’s fair to say that Kyouko’s physical characteristics as a Demi are the most distinct. 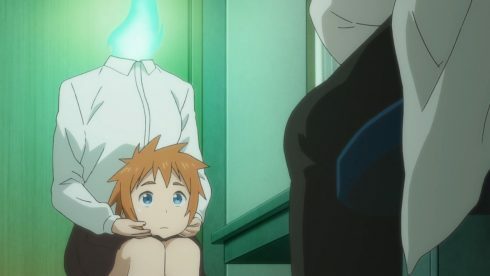 The others can pass for being regular humans at a glance, but a girl carrying her own disembodied head with a green flame coming out of her torso where the head would normally be is hard to confuse for anything else. 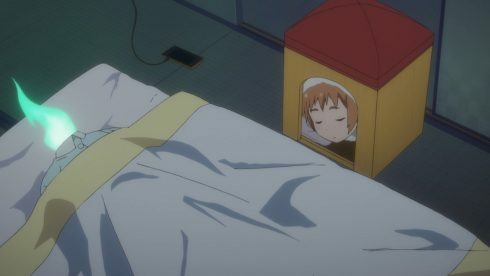 Kyouko and her family have had to work through a fair number of issues caused by her body as well. 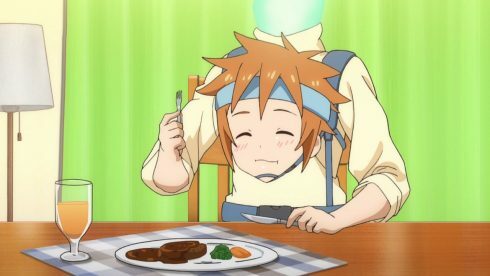 Some things that we take for granted, like how to eat a meal, or how to take a bath, can be very inconvenient or even dangerous for her if special precautions aren’t taken. In some ways it’s not unlike what people with some handicap or other disability might have to go through in their daily lives. Except that Kyouko’s case would be one of those super-rare disabilities that have no known treatment and no established precedent for care. After all, including herself there are only three Dullahans in the world. It’s not like she can go on the internet and search for info on how a majority of Dullahans handle a certain difficulty. She and her family have had to both discover the various problems and think up solutions to them on their own. One might think that sort of thing would be depressing, but she just relates it all cheerfully. To her it’s just part of the trials of life, and rather than be upset at having to face them she’s simply pleased that she and her family have been able to overcome them with experience and ingenuity. If anything it’s the social aspects that bother her. She was out sick at the beginning of the school year, which is troublesome because that’s when all the normal introductions take place and the social groups start to form. 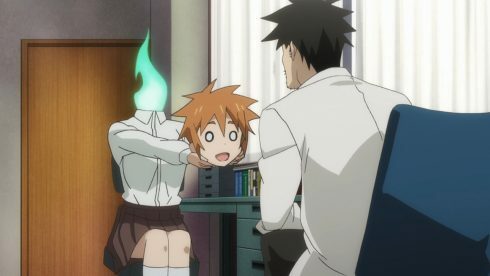 Her classmates are actually doing quite well in accepting her, but as I noted last week, they aren’t sure how much it is safe to talk about the fact that she’s a Dullahan. 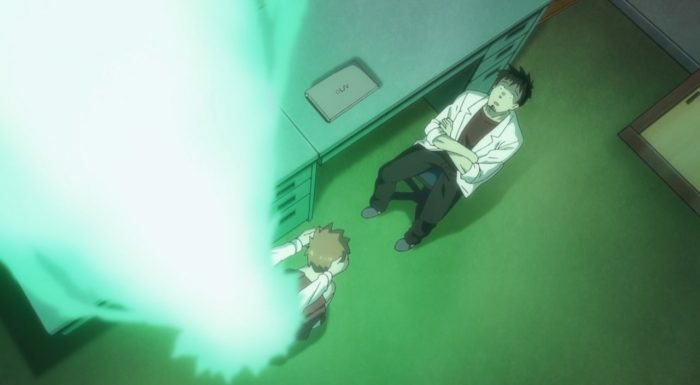 I have to say that Tetsuo’s advice about that seems like a good place to start, to me. If she wants them to be able to joke with her and talk freely with her about it, she should do so first. That way everyone can learn from her what’s safe to talk about. 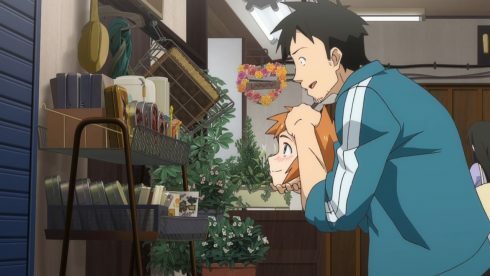 The latter half of the episode focuses on the “date” Hikari sets up between Kyouko and Tetsuo after learning that Kyouko has a crush on Tetsuo. While student-teacher scenarios can be questionable, the fact that neither of them really ends up treating this like a real date keeps this event on the safe side of things. 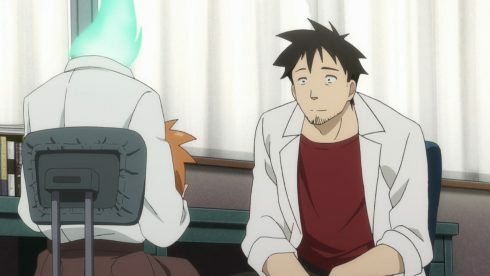 On Tetsuo’s side it clearly hasn’t even occurred to him that Kyouko might be interested in him, so he approaches it with the same scientific detachment and friendly but teacher-like attitude that he has when interviewing the girls and discussing their problems. 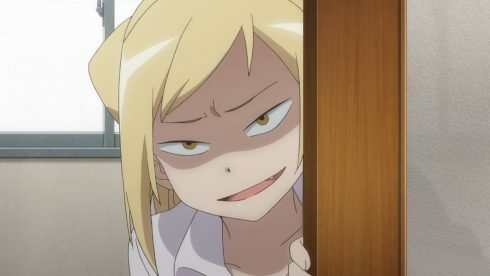 As for Kyouko, while she has a crush on him, it seems to me that she knows it’s not actually going to go anywhere. She’ll take opportunities to be near him like this one, but she’s not going to try to push for a more serious relationship that she knows she’s not going to get. 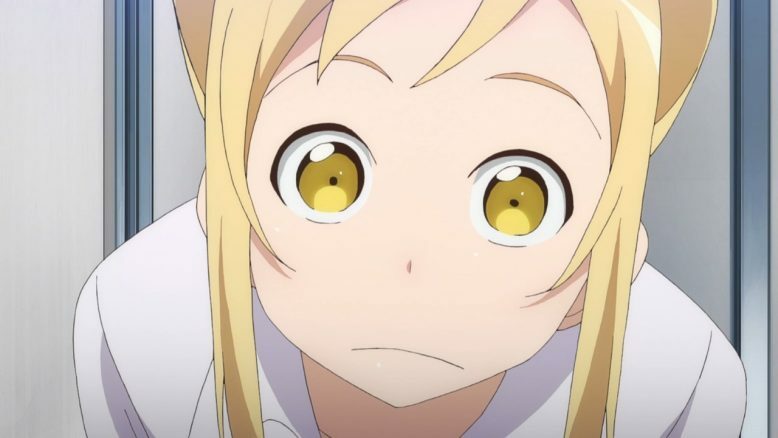 Now despite the focus on Kyouko in this episode, one cannot ignore Hikari. Indeed, she makes herself hard to forget (in a good way). It’s lots of fun seeing our mischievous little vampire do her thing. 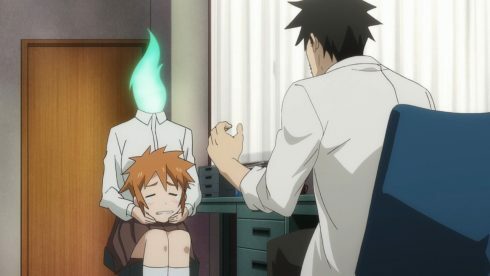 Just for the record, I don’t think she was actually trying to get Tetsuo in trouble after she caught him hugging Kyouko’s head. She just wanted to freak him out. 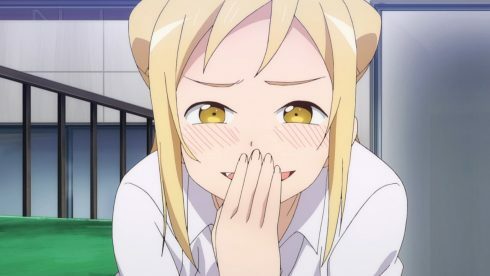 It’s the same when she poked Kyouko during the “date.” Hikari’s a prankster, and she enjoys getting reactions out of people, but she doesn’t want to cause harm. She’s the one who set up the “date” between them in the first place, after all, something she didn’t have to do. 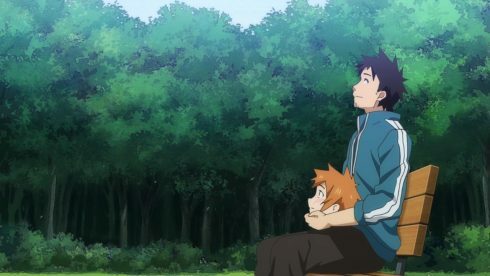 She even notices how Kyouko has trouble doing something as simple as answering her phone on the way home from school, and brings up the problem to Tetsuo, who then rephrases it and proposes it to the principal who agrees to let Kyouko use a backpack instead. 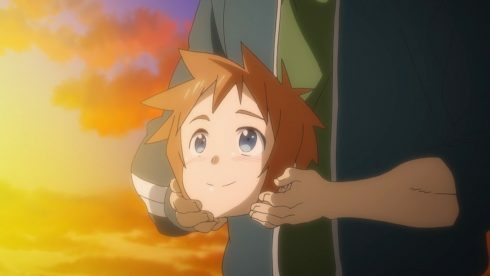 Hikari is a good girl and a good friend. A bit of a bat-brain, perhaps, but she’ll never hurt the people she cares about. 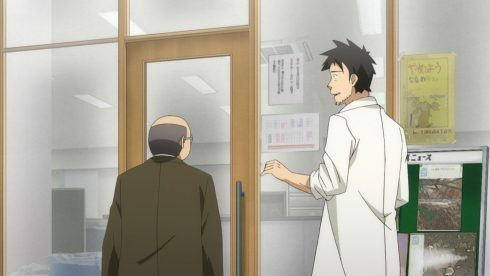 It’s good to see Satou-sensei overhearing Tetsuo’s talk with the principal at the end. 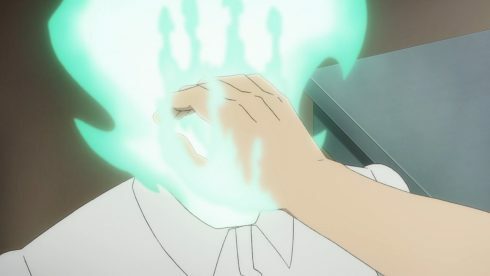 Not only does his concern for Kyouko show her that maybe she misjudged him at first, but the fact that he deliberately avoided taking any credit for the idea in order to let Kyouko’s homeroom teacher save face; that clearly impressed her. With luck things will be better between them in the future. 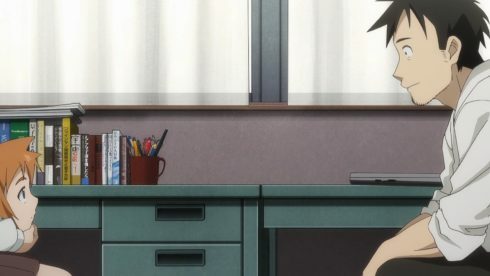 This was another good episode, with signs of more to come. This is an interesting series. 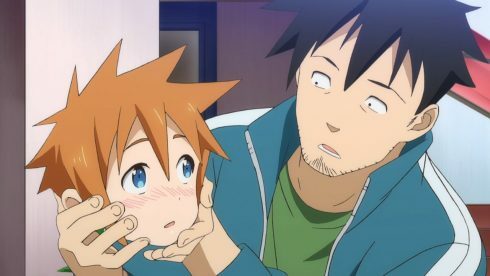 Despite appearing to be a relatively simple slice of life on the surface, there are several deeper themes and connections that lie beneath the surface of the narrative. 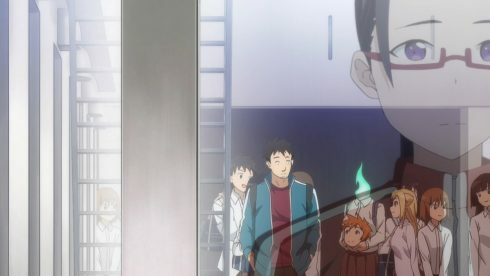 As a result it’s not so easy for me to just write about what I watched and how it made me feel, the way I normally approach things. A certain degree of thought is called for. 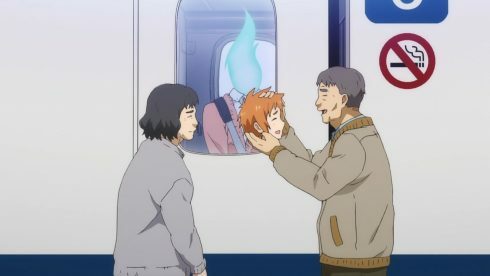 In other news, I have not quite decided yet if I’m going to cover this series, or if I’m going to pick up Kobayashi-san and cover it. 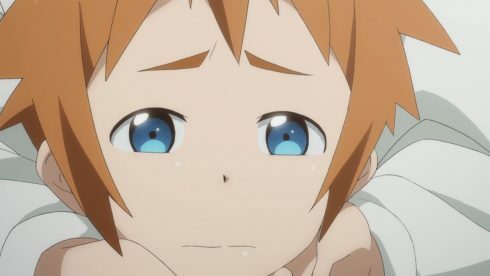 One more episode for both series should be enough to decide it, hopefully. 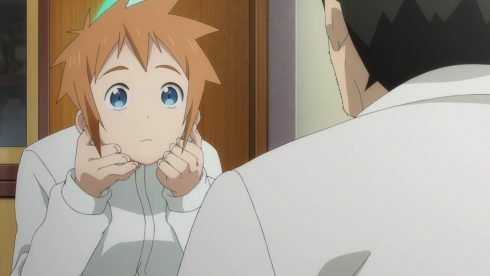 I don’t know what, but something about Hikari’s “blank” look is even more hilarious to me than any of her ridiculous expressions.